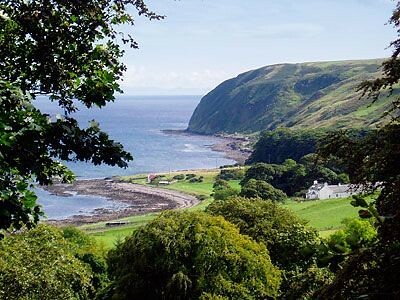 The long peninsula of Kintyre is probably best known as the inspiration for Paul McCartney's phenomenally successful 1970s dirge, 'Mull of Kintyre', but don't let that put you off. Kintyre has all the usual Highland ingredients, such as great scenery, wildlife and beaches which attracts the experienced surfer and the wild surfer alike. Hardy walkers also have the opportunity to explore a newly opened 89-mileKintyre Way coastal route stretching from Tarbert harbour to Dunaverty in the south. The longest peninsula in Scotland, Kintyre is one of the most isolated spots in the country and one of the most unspoilt too. The peninsula would be an island, were it not for the mile-long isthmus between West and East Loch Tarbert, a fact not lost on King Magnus Barefoot of Norway. In the 11th century he signed a treaty with the Scottish king, Malcolm Canmore, giving him all the land he could sail round, and promptly had his men drag his longboat across the narrow isthmus, thus adding Kintyre to his kingdom.Kintyre is a famous tourist spot in Scotland that is well known for its quaint villages, world class golf courses and vast expanses of sandy beaches. Getting around Kintyre without your own transport requires time and patience. There's a bus service running up and down the west coast, and also a limited service from Campbeltown to places around the peninsula. Car share option is another economical travel option in Kintyre. Passenger ferry services operate between Campbeltown and Ballycastle with a journey time of 1 hour 30 mins. ( Phone -01586 555 895).Private charter for up to 12 passengers is also available. 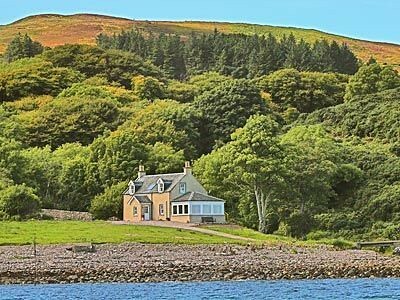 The greatest asset of Kintyre is its remoteness that offers some of the least explored natural spectacles. 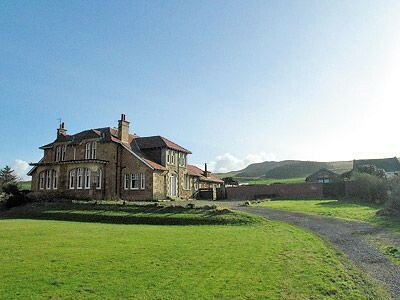 From historical attractions like Trabert Castle, Skipness Castle and Sassell Abbey to exciting walking trails and world famous golfing facilities there is something for everyone here . Kintyre has a diverse wild life including rare Golden Eagles and a variety of birds of prey. The Seabird and Wildlife Observatory and the Campbeltown's Owl Sanctuary are the other must see spots in Kintyre. 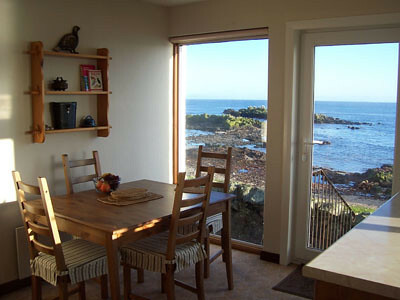 Kintyre offers a perfect beach holiday experience as it has a long and exciting coastline dotted with coves, inlets and beaches that set a perfect back drop for spending your summer holidays. Did you know that no matter where you are , you will be less than 20 minutes away from a good beach in Kintyre! There are many highly popular beaches in Kintyre including the most popular of all- the Westport Beach, which is well suited for wind surfing. It is a pretty sandy beach with great views and waves. 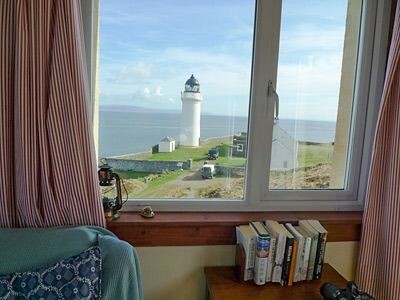 Point sands is well known for its crystal clear waters and the stunning views across to Gigha. The still and shallow water is well suited for swimming. Therea are camping facilities, touring pitches and self catering units near the beach. Take a walk along the Kintyre Way long distance walk for a few miles and you reach the beautiful stone beach, well known for its large and smooth pebbles of various colours. 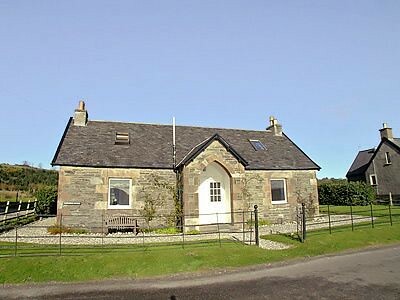 If you are a keen golfer, then Kintyre would be a perfect choice. It has three of the countries best links golf courses of Dunaverty Golf Club, The Machrihanish Golf Club, and Machrihanish Dunes that are only a few miles apart! No matter whether you are a pro or a novice, an enjoyable game of golf is very much on cards when you are in Kintyre. 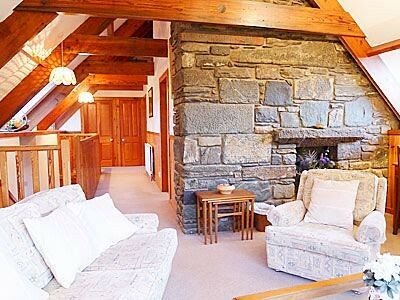 Kintyre offers a range of accommodation options to suit every budget including budget stay options like B & B, inns and selfcatering to medium range hotels. 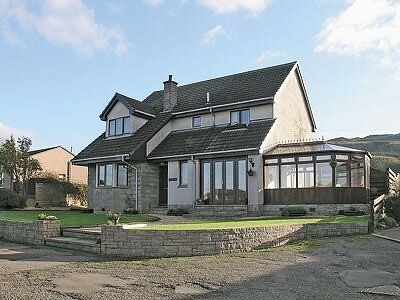 Modern holiday cottage on the edge of Tayvallich village on the shore of Loch Sween in Western Argyll. Sleeps six people.